Location, location, location! 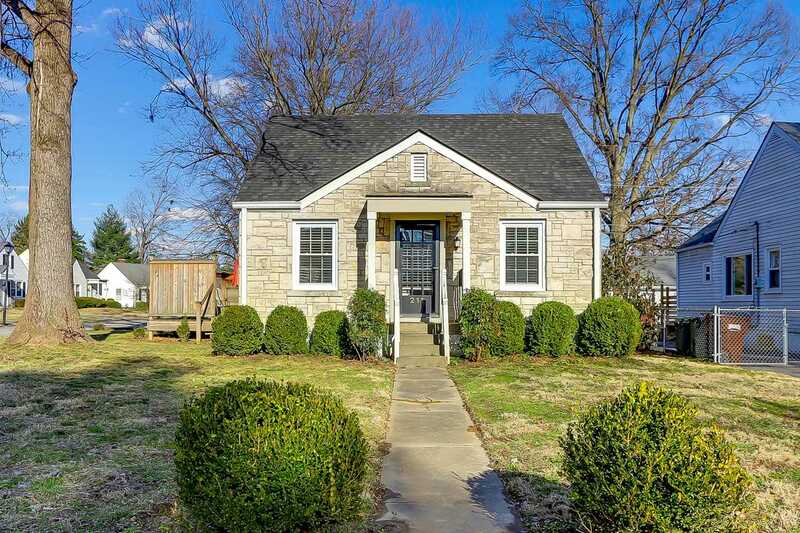 Charming cottage in St. Mathews on an oversized corner lot. Completely renovated by Architect/ Owner in 2014 with new roof, windows, Heating and a/c, kitchen with all new custom cabinets and appliances, vaulted ceilings, paint- inside and out, landscaping, fabulous deck and fully fenced yard. Full basement. Walking distance to heart of St. Mathews with coffee shops, restaurants, great shopping and more! Lot Size: 5833 Sq. Ft. Directions:Chenoweth Lane to west on Massie Avenue. Right Staebler Ave.
SchoolsClick map icons below to view information for schools near 211 Staebler Ave Louisville, KY 40207.